Pets can sit at the table and order. Then, they watch patiently as the food is cooked. The food for the critters looks to be slightly different from what their owners are eating, consisting of mostly rice, veggies with a few slices of meat to grill. Larger dogs can sit under the table to chow down. After the meal, the stuffed four-legged friends can take a snooze. This doesn’t appear to be the only one of its kind in Japan. 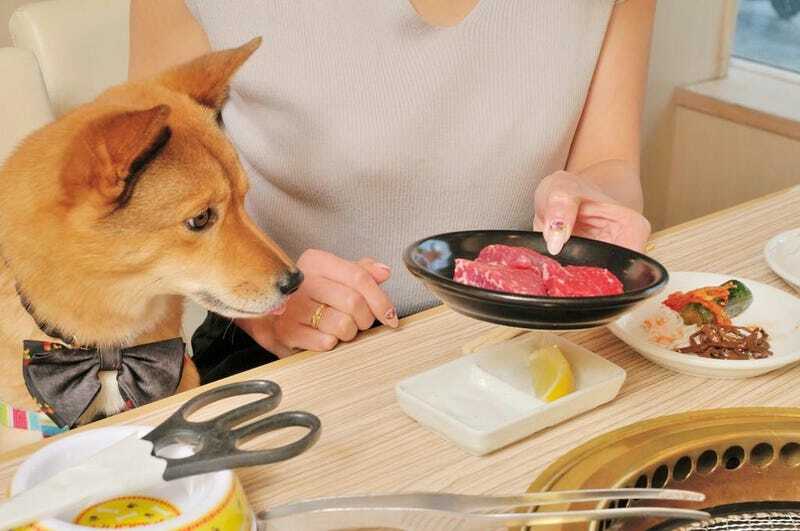 Yakiniku Ponga LA in Tokyo’s Yoyogi Koen apparently has a menu for pets, allowing them to eat yakiniku with their owners out on the terrace.